So What's the Difference Between Alligators and Crocodiles? 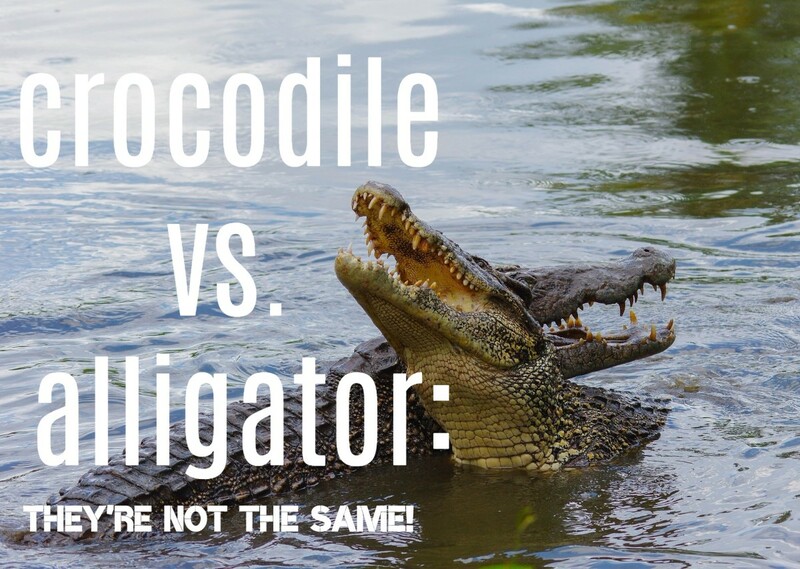 Many people are unaware that there's a difference between alligators and crocodiles and use both terms interchangeably to describe any large water-dwelling lizard with big teeth. What they don't realize is that, despite some similarities, the two reptiles don't look or behave the same. They also belong to different biological families. Shape of the snout. The crocodile's snout is pointed and V-shaped, and the alligator's is wide and U-shaped. Location. Alligators are only found in parts of the US and China, whereas crocodiles can be found across the world. Scroll down for more information about where you'll find each. Habitat. Crocodiles prefer water that is more saline or salty than the alligator's preferred freshwater habitat. Toothy grin. 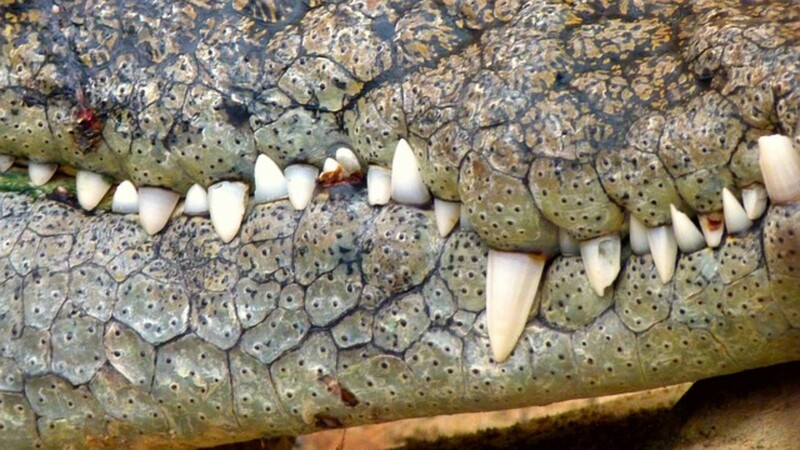 Crocodiles can't hide their teeth, but alligators' teeth are sometimes hidden when their mouths are closed. Size. A full-grown crocodile will likely be several feet longer than an adult alligator. Color. Crocodiles are generally lighter in color than alligators. Speed. On land and in water, crocodiles are usually slower than alligators. Behavior. In terms of aggression, an alligator might seem tame compared to a crocodile. Once you understand the differences, it is actually pretty easy to tell them apart. 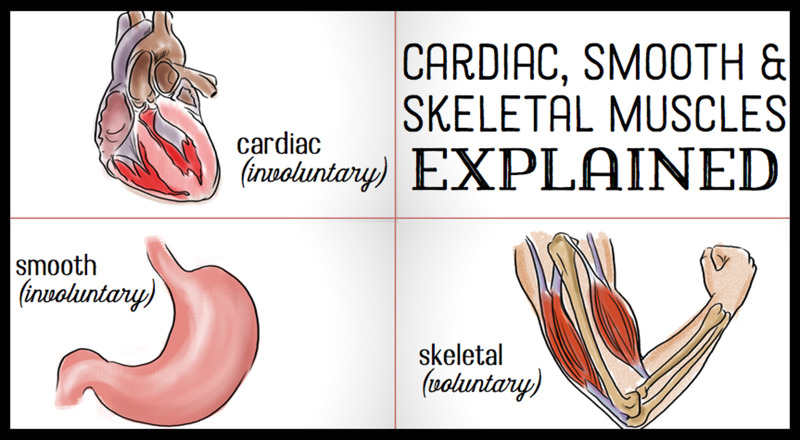 I explore each of these differences in detail below. One of the main differences between alligators and crocodiles is the snout. The alligator's is broader and shaped like a U, whereas the crocodile’s is longer and narrower and more V-shaped. It's very possible that the alligator's snout shape is different because of diet, especially breaking open turtle shells, whereas the crocodile’s snout is more suited to hunting general prey including fish, reptiles, and mammals. 2. Where Do Alligators and Crocodiles Live? Alligators live only in the southeastern US and eastern China, whereas crocodiles can be found across the world in Africa, Australia, Southeast Asia, North America, South America, and Central America. If you are in the US, then you are far more likely to encounter an alligator than a crocodile. 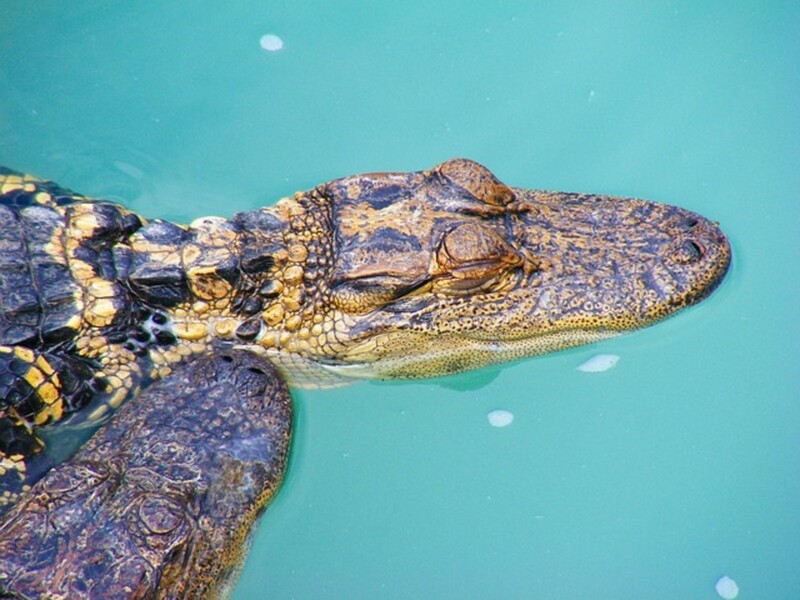 Although there is an American crocodile species, they only live in the southernmost tip of Florida, whereas alligators can be found across Florida and Louisiana, as well as in parts of Georgia, Alabama, Mississippi, North and South Carolina, Texas, Oklahoma, and Arkansas. Alligators also heavily outnumber crocodiles in the US. There are over 3 million alligators, but fewer than 2,000 crocodiles. 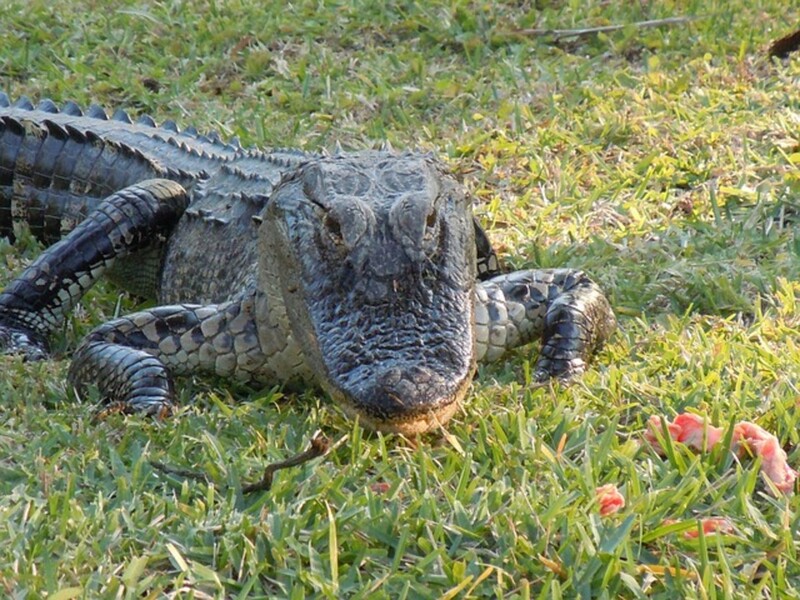 Southern Florida is the only place in the world where you will find crocodiles and alligators living side by side. 3. Habitat: Freshwater or Saltwater? Crocodiles have special glands in their tongues which excrete excess salt from their bodies. This means that they are capable of spending days, or even weeks, at sea. Alligators also have these glands but they don’t work as well, so they usually stick to freshwater habitats, although they can sometimes be found in brackish water (a mixture of salt and freshwater). This difference explains why crocodiles have managed to spread across the islands of the Caribbean, and alligators haven't. When their mouths are closed, the snouts of alligators and crocodiles are easy to tell apart, as the alligator will have none of its bottom teeth visible, whereas the crocodile’s lower fourth tooth can always be seen. Crocodiles often have many visible teeth sticking out over their lips, giving them a very jagged "smile," but since an alligator's upper jaw is wider than its lower, it can hide all its teeth when its mouth is closed. 5. Which Are Bigger: Alligators or Crocodiles? An adult crocodile can grow up to roughly 19 feet long, whereas for alligators, the maximum length is around 14 feet. Crocodile hides tend to be more of a light tan or olive color, whereas alligators are usually a dark blackish grey. (The exact shade of an alligator skin depends on the quality of the water it swims in. Tannic acid from overhanging trees will make them darker, algae will make them greener). 7. Which Runs and Swims Faster: An Alligator or a Crocodile? 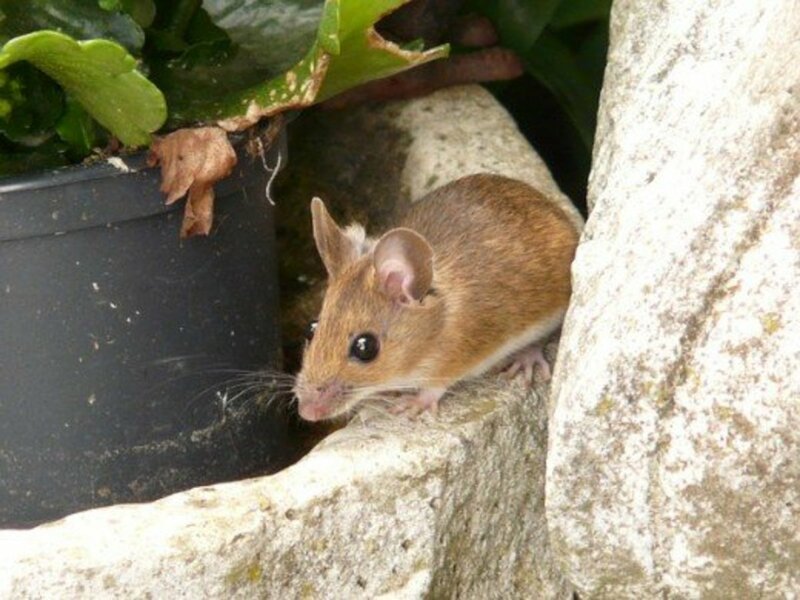 On Land: Both can can move quickly on land, but only for short distances. They can both "gallop" or "sprint" but only do it when threatened, and not for long. A crocodile might reach almost 9 mph (14kph), while an alligator might reach a maximum speed of about 11 mph (18 kph). In Water: They're both much more agile and fast in water where they can use their long, muscular tails to propel their bodies forward. When crocodiles swim, they might reach speeds of about 9 mph (15 kph), while alligators might reach a maximum of 20 mph (32 kph). Fatalities from alligator attacks in the US are actually very rare. The average annual fatality rate for death by alligator in the US is actually only 0.3. That means on average, one person dies every three years. That's a very low figure when you consider how many people and alligators there are in southeastern US. The truth is that you are more likely to be killed by a dog, a bee or wasp sting, spider bite, rattlesnake, mountain lion, or shark. 8. Which Is More Aggressive: An Alligator or a Crocodile? Alligators, while definitely dangerous, are relatively timid compared to crocodiles. An alligator will generally try to escape if approached by humans, usually heading for the nearest water. The only time that wild alligators will attack humans is if they are unexpectedly disturbed, provoked, or defending their young. Alligators are instinctively afraid of humans but can lose some of that fear with regular contact. 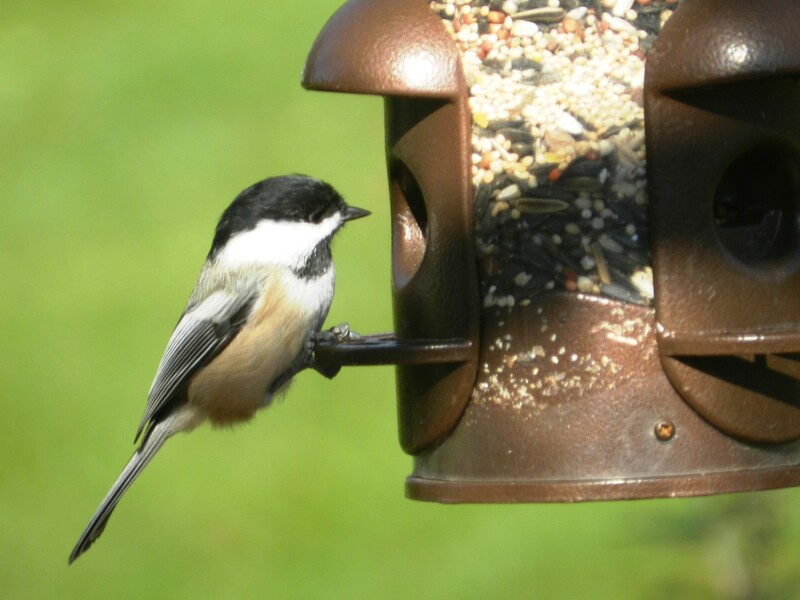 Except in controlled conditions, feeding them is almost always a bad idea as they will lose some of their fear and see humans as a source of food. They can also mistake small children and pet dogs for prey. Crocodiles, on the other hand, are much more bad-tempered and far more likely to attack humans, even unprovoked. Australian saltwater crocodiles are generally considered the most dangerous in the world, followed by Nile crocodiles. American crocodiles, on the other hand, are one of the more timid types that you will find and rarely attack humans. In the US, you are more likely to be attacked by an alligator than a crocodile, although attacks by either are very rare. Are alligators and crocodiles the same species? Crocodilia is an order of large, semiaquatic, predatory reptiles that includes alligators, caimans, gharai, and crocodiles. These are all known as "crocodilians," but only some are true crocodiles, and they're not related closely enough to interbreed. Alligator vs. Crocodile: Which is stronger? If they fought, who would win? Crocodiles can grow bigger than gators, and their bites can be more lethal. Crocodiles might win for bite strength alone. 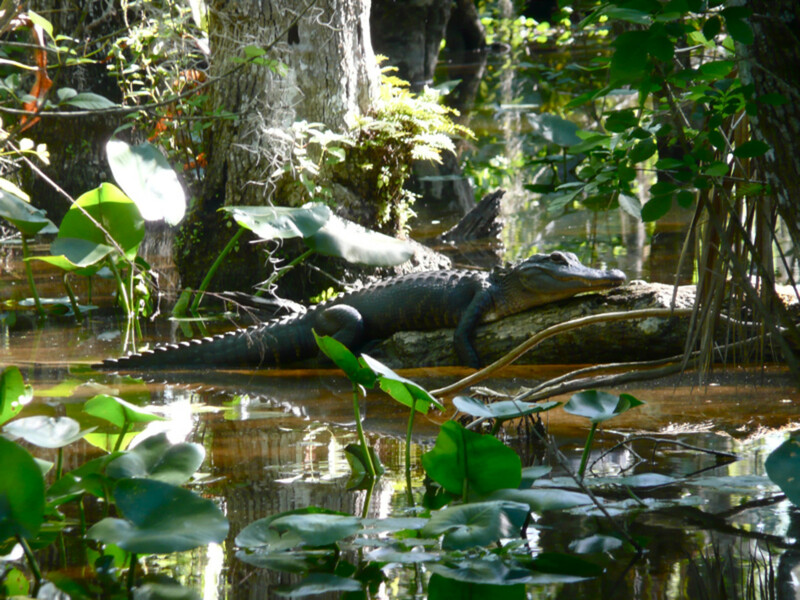 The strongest have a bite pressure that measures 3,700 pounds per square inch, while the strongest alligators' bites are about 2,900. In terms of size, crocodiles win again. The biggest recorded croc was about 2,000 pounds and over 23 feet long, while the largest recorded gator was about 1,000 pounds and 19 feet long. Lastly, in terms of aggression, crocodiles would still win, as they are much more aggressive and likely to attack, even if unprovoked. Which are more dangerous to humans? 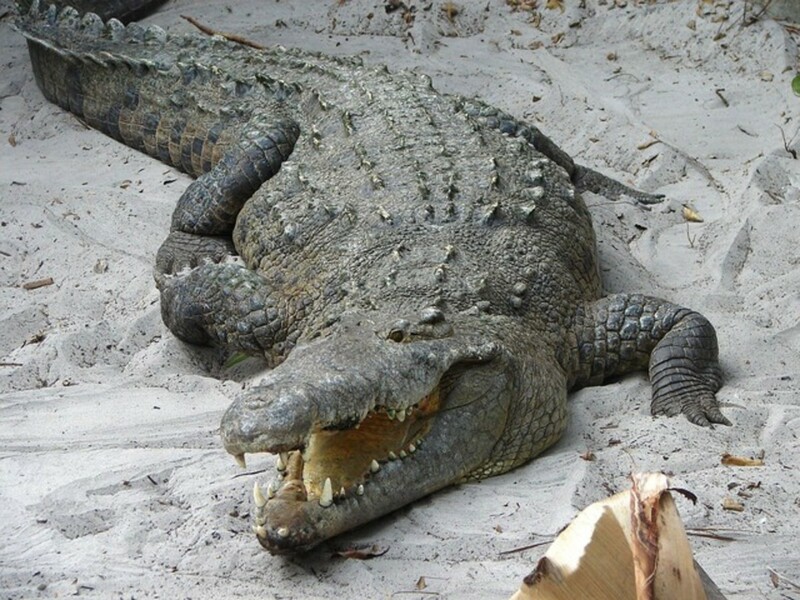 According to CrocBITE, a database that keeps track of crocodilian attacks worldwide, the Nile crocodile is the one humans should be the most afraid of. Since the year 2000, there have been 33 human fatalities caused by American gators and crocodiles combined compared to 268 caused by Nile crocodiles alone. What type of alligator is in Gatorade? Do alligators and crocodiles have tongues, and if they do, are there any differences in them? Can alligators and crocodiles mate? No, they can't. Although they look similar, they are genetically too far apart. Although related, they split into separate genera a long time ago. Do alligators hunt on land? The preferred method for alligators to catch prey is to ambush animals at the water's edge and drag them into the water. However, adults will sometimes venture up to 170 feet (50 m) from water to look for prey. They will wait by trail sides and then stage an ambush on passing animals. It used to be possible to buy cowboy boots made from alligator leather, is this still true? Yes, you can. Alligators were considered endangered at one time, but after their numbers made a dramatic recovery, the species were removed from the endangered species list in 1987. Alligators are now farmed for meat, leather, and other goods. I have heard about alligators surviving in frozen lakes in winter. Is that also possible for crocodiles? Crocodiles are less able to survive in colder climates where water freezes, which is one reason they are much less common than alligators in the southeastern USA and are only found at the southernmost tip of Florida. They also tend to live in salt or brackish water - which is much less likely to freeze - especially in the subtropical and tropical climes where they usually live. Why do alligators swim away when humans approach? Wild alligators have a natural fear of humans and will usually attempt to escape if approached. Alligators can lose their built-in fear if they become used to humans, however, which is why you should never feed wild alligators. Can an alligator and a crocodile have kids together? No, because although they might look fairly similar, they belong to separate species (Alligatoroidea and Crocodyloidea). This essentially means that they are too different genetically to produce children. So don't expect to see any "crocogators" soon! Can an alligator kill a crocodile? There is actually only one place in the world where alligators and crocodiles live side by side, that is the southernmost tip of Florida. The two animals don't usually fight, but crocodiles, as a species, are generally more aggressive. In which climate are crocodiles and alligators most often found? 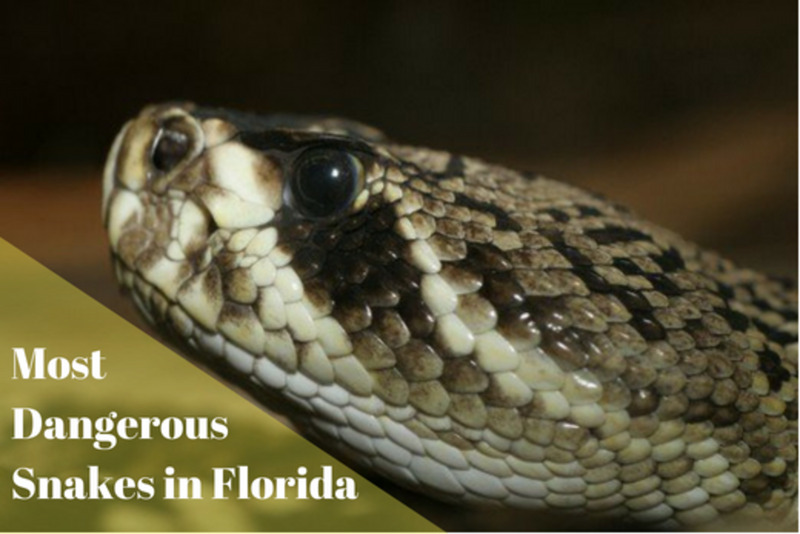 They are most often found in tropical and subtropical climates. Can an alligator kill a human being? Yes, that can and does happen. They don't often attack humans, however, being instinctively afraid of them, and so fatalities are rare. They are most likely to attack small children who they can mistake for prey. Are alligators or crocodiles friendly? No, they are wild animals who generally see humans as a threat. Are caimans a species of alligator or they are a different species? Alligators and caimans belong to the same family, alligatoridae, and therefore have a lot of similarities, but they are separate species. In total there are 23 crocodilian species. Are crocodiles related to alligators? Crocodiles and alligators are both members of the order Crocodilia, which also includes caiman. Do crocodile and alligator jaws open in different ways or does the same part of the jaw open? Despite the difference of snout shape, the jaws do open in a similar way. There has been much research into which animal has the most powerful bite. Recent experiments seem to show that it's generally the size of the animal that dictates how strong its bite is, rather than whether it is a crocodile or alligator. Is "gator" another name for "an alligator"? What do you know about saltwater crocodiles? This crocodile, also known informally as a "saltie," can be found throughout most of Southeast Asia, as far west as the eastern coast of India, and all the way down to northern Australia. 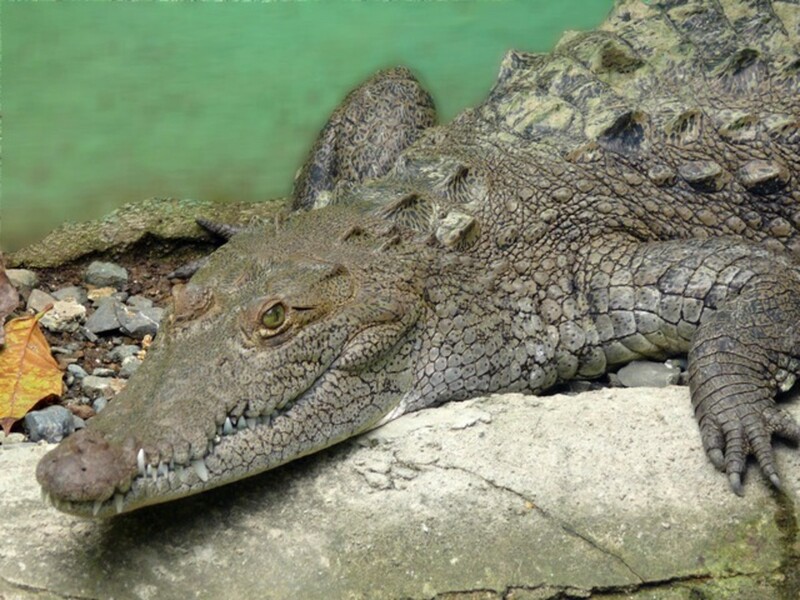 Its scientific name is Crocodylus porosus. It lives in marine environments, as well as brackish waters. Along with the Nile crocodile, it is considered the most aggressive and dangerous type of crocodile. Can an alligator be careful and calm too? Generally speaking, alligators are timid and afraid of humans. They will spend a lot of the daytime basking in the sun and in the night time they hunt. It's important to remember that they are reptiles and generally aren't as intelligent or emotionally complex as large mammals. They can spend long periods of time not moving, then suddenly burst into action. What is there for tourists to see and do in the Philippines? The Philippines has a large and growing tourist industry with over 4 million visitors each year. Things to see include natural features, such as volcanoes, underground rivers, coastlines, beaches, and islands. There are some impressive rice terraces dug into mountainsides, as well as beautiful waterfalls. The country is famous for its incredible biodiversity and exotic sea and land life. There are plenty of great diving opportunities and mini-cruises to experience. You will also find many interesting museums, restaurants, street markets, and zoos to visit. So the creatures in the Amazon River are alligators? There are two species of alligator, and neither live on or near the Amazon River. The most common species live in the southeastern part of the United States. The other species, which are critically endangered, live in eastern China. Do all American alligators have the same dark blackish color? No, adult American alligators can be brown, olive, grey, or virtually black and their undersides are creamy. 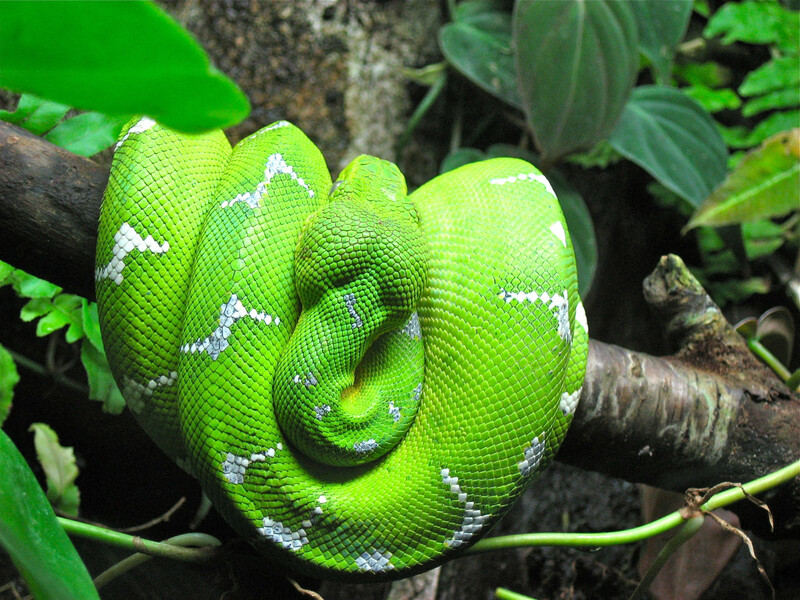 Their color is influenced by their habitat. Alligators were put the endangered species list and protected in the 60's and 70's, but taken off the list in 1987 after numbers were deemed to have recovered. An adult male American alligator typically measures somewhere between 11 and 15 ft (3.4 and 4.6 m) in length, and weigh up to 1,000 lb (453 kg). Females alligators are smaller, and usually range between 8.5 and 9.8 ft, or (2.6 and 3 m) in length. 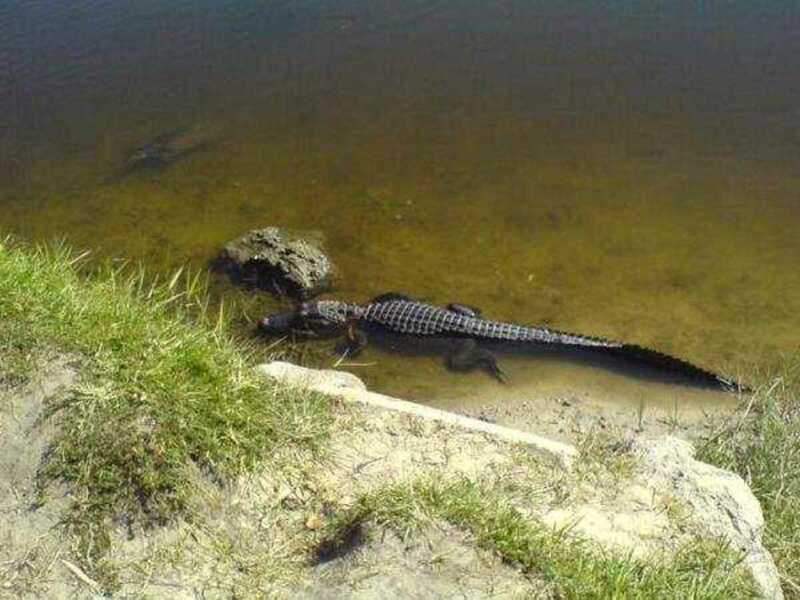 Why are there no more alligators in Flordia? Although alligators were at one time endangered due to over-hunting, their numbers have increased dramatically in Florida since the 1970's. It's estimated that there are now between 1.3 million and 2 million alligators in the state, which means that there's one gator for every 10-15 Floridians. Between an alligator and a crocodile of the same size, whose bite is stronger? Studies vary in their conclusions. Part of the problem is that there is no single accepted method for measuring bite power. It's likely that the alligator snout shape and bite is geared more towards cracking open turtle shells, which are a feature of their diet, so it wouldn't be surprising if they have a stronger bite, but this has never been conclusively proved. Do you know the difference between a freshwater crocodile and a saltwater crocodile? These two species live in Australia and are often referred to as "freshies" and "salties" by locals. There are a number of ways to tell them apart. Firstly, the saltwater crocodile is much larger than its freshwater equivalent. Secondly, the snout shape is different, with freshwater crocs having longer, thinner snouts. Thirdly, the freshwater crocodiles have an even jawline with generally smaller teeth, whereas the saltwater has an uneven jawline and the teeth size varies, with some teeth much bigger than others. Both crocodiles are potentially dangerous to humans, but saltwater crocs are especially aggressive. Which has the stronger bite; an alligator or a crocodile? There have been a number of studies on this, and there is no total agreement. Part of the problem is that there are different ways to measure bite strength. Currently, the general opinion is that the size of the animal is the deciding factor, regardless of whether it is an alligator or crocodile. The bigger crocodile species will therefore tend to have stronger bites than alligators, but it depends on the relative sizes of the actual animals being compared. What type of crocodiles are strongest ? The saltwater crocodile is the largest and most aggressive type of crocodile. They are also the largest living reptile. They can be found in southeast Asia and on the northern coast of Australia. Are alligators a type of crocodile? No, they are members of the order Crocodilia, which includes alligators, crocodiles, and caiman, but they are not a true crocodile. Are alligators different from crocodiles? Although alligators and crocodiles can appear similar, they actually belong to separate species (Alligatoroidea and Crocodyloidea). There are a number of differences between them, including the shape of their snout, where they live, habitat, color, and size. Would a crocodile attack an alligator? Attacks are possible if the crocodile believes that its young or itself are being threatened, but the chances of it happening are likely rarer than you think. One reason being that crocodiles and alligators rarely encounter each other in the wild, as they only live together in southern Florida. The Florida alligators live in freshwater and occasionally brackish water, generally rivers, lakes, and swampy areas. Crocodiles like saltwater and brackish areas and can usually be found near the Florida coast. Unlike Australian and Nile crocodiles, the Florida crocodiles are fairly small and shy. Who would win in a fight between an alligator or crocodile? The two reptiles are pretty evenly matched so the bigger one of the two would have the advantage. Alligators and crocodiles don't meet that often in the wild, however, as they only coexist in a small area at the southernmost tip of Florida, USA. Are alligators more aggressive than crocodiles? Alligators are less aggressive than most species of crocodile, certainly towards humans. Thank you very much. I now know the difference between crocodiles and alligators, but I have a doubt. I tis clear to me that crocodiles and alligators live in different places around the world but, why can there be crocodiles and alligators in the same place: The Everglades. I found this article very interesting. I now know the differences between crocodiles and alligators. Any crocs in New Zealand? Q: What's the similarity between a Crocodile and Windows? A: Neither of them has enough bytes! that was by animaljokes.com. ANYWHO... CROCODILES ARE AWESOME! In terms of cowboy boots, does alligator or caiman leather hold up better than cow leather? Can an alligator and a crocodile breed to make a "crocogator"? I mean, ligers and zonkeys are a thing so maybe? How long do they live and how can you tell their approximate age. 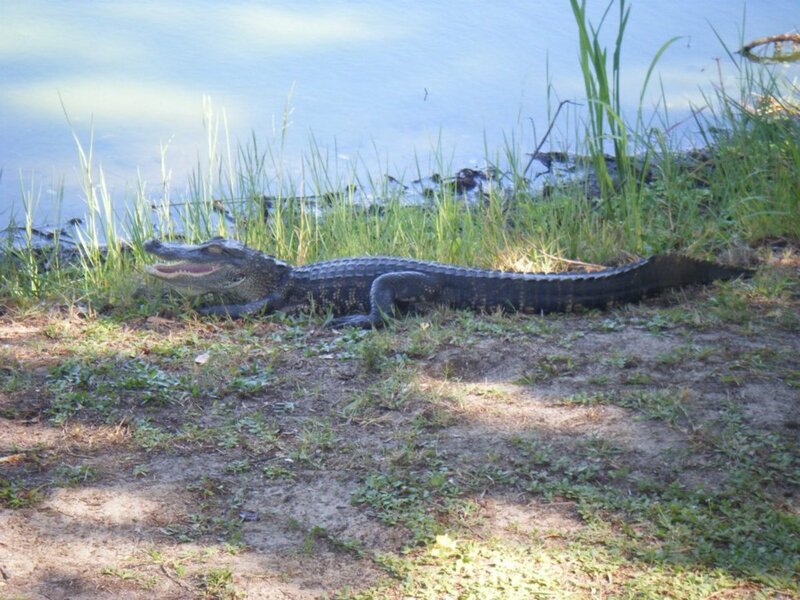 What are the differences between the male and female alligators and how does one determine whether it is a male or female ? How often does a female give birth and how many babies do they have on average. Are there more males than females or vice versa for the alligators and the crocodiles? 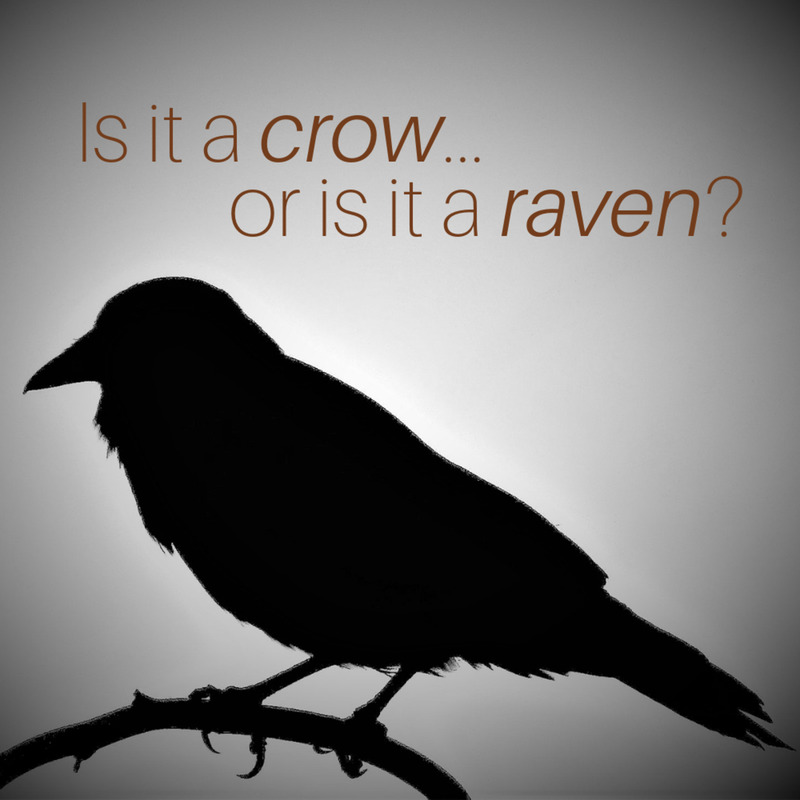 Which species is hunted for its meat and by whom? Do people consider them a tasty treat. What part of this reptile is eaten if any? Are any of them poisonous and if you were bitten by one would you need to get an immediate vaccine like you would for a rattlesnake for example? So much for that river trip. Great Hub. Thank you so much u helped with a merit badge in boy scouts I loved your article! Steve Irwin was the best croc hunter ! its so helpful, thanks a lot. Wow. I never knew that there was a difference! So cool! I have seen every species of croc. You got the green ones, the ones who try to go for ya package, the fiesty ones, and you can't forget the momma crocs. Each one is pretty dangerous mate'. I can't believe anyone could not see the difference between a mean ol croc and an alligator mate'. It's plain out silly. I have seen everything in the outback. The old alligators are nothin' but little lizards to me mate'. THANK YOU!!! Makes homework so much easier. Thanks you helped me on my english project. Thanks helped me on my essay! IT HELPED me a lot in my studies !!!!!!!!!!! I give thanks for this helpful article. the next 2 days i'm going to give a presentation to my ecology teacher and guess what's the topic? differences between alligators and crocodiles! A croc swam from Dania Beach(FL) over to Hollywood Beach(FL) before being retrieved by Fish&Game on 11/20/2017. Helped me a lot with my speech for school, thank you! Not sure what metric you are using for comparison but as far as pure strength is concerned, Crocs have a stronger bite than gators--as long as you are comparing similar size specimens. A gator does have a bigger mouth (which is one reason they have less bite pressure--the force is spread over a larger area) so may be fair to say they have a more devastating bite overall. Also, croc jaw muscles are about 1/3 larger (again, this is for similar sized specimens). Crocs win the bite force comparison by a factor of about 2. Alligators are fast, got chased by one while on bike. I was able to pull away, alligator then gave up, went back in woods. That was very informative! Thanks. See a pointy nose and teeth...get gone! I've seen on other videos that another differences is how they open the jaws to caught prey. One open the upper jaw while the other open the lower jaw. Is this true and which is which? My 5 years old daughter easy spots differences :) and im wondering where did she learn that if she didn't start school yet. Today in another Zoo again she didn't miss and I wanted to cry beeing such stupud - thx for the lecture! I was left a little confused. The article seems to contradict itself several times, sometimes within one sentence. these are really interesting facts but very dangerous. Here we have a good explanation. In fact, many people confuse crocodiles, alligators and caimans. Thanks. I do admire those who came before us and who without technology such as night vision video recorders, nor cameras nor guns were able to observe animals as they grazed, fed and protected their young. Thanks once again for throwing more light on the Alligator and Crocodile. I wonder which of the two would sleep with mouth open without fear of its tongue being a meal for another? These are two animals that terrorize others in the waters! well can't say i didn't learn anything here. All the more reason to avoid an alligator. Okay! I always wondered what the difference was! If I see either one,though, I'm running away! (Although here in New York..probably NOT going to happen). Great hub! I love watching them in the Everglades, which is the only place in the world where alligators and crocodiles coexist. Now about the turtles... true those alligators can crush their shells, but they surely like to surf and sunbathe on top of those sleeping logs! Your second vid comes up as 'private' which is a shame- the first one was great. I enjoyed the rest of the page, too. Props on the fantastic Hub! Well this clears up any confusion! Thanks...such fascinating creatures (both of them)! Thank you for your kind words, Shai. 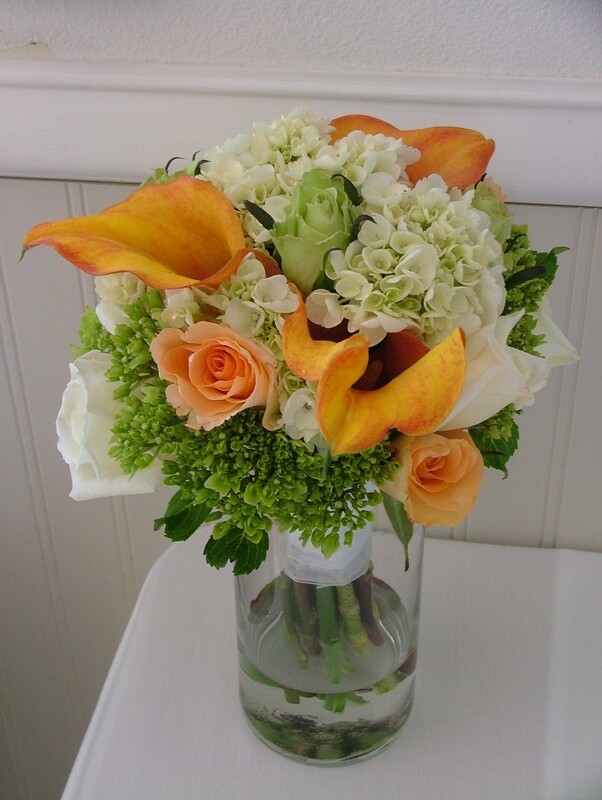 You have wonderful and interesting Hubs.